Unique ceramic pieces to enhance your mosaic work are now available in the Studio Store, located at 421 Gharkey Street, Santa Cruz, CA 95060. You will find many fun pieces from birds, seagulls and seashells to fish, dragonflies, flowers, and much more! We also stock house numbers, “Garden” and “Welcome” phrases spelled out in ceramic characters and ceramic word plaques. Yes, custom orders are available! 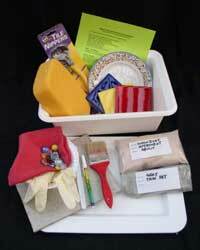 The Studio Store is now selling Glass Tiles, Adhesives, Tools, Mosaic Books and other supplies for artists, crafters and home projects. 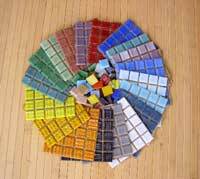 You can purchase the Glass Tiles in a full range of luminous colors at great prices! light and airy and is a beautiful space to create mosaics!